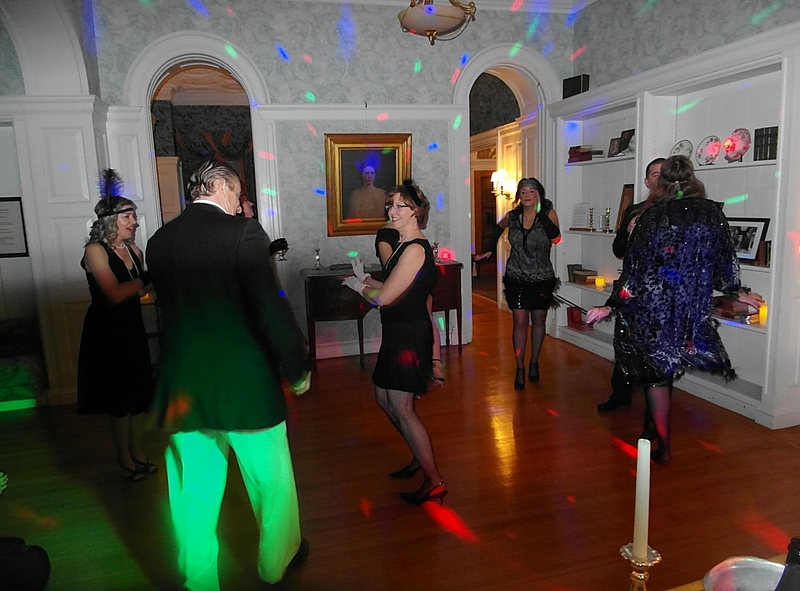 Before 2014 ended, I received an interesting message… someone wanted me to DJ a party in a mansion. 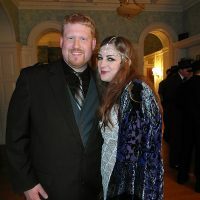 I mean really, who would say no to that? Naturally, the lead was followed up on and it lead me into a sit down meeting with Kristin Earle, the awesome director of the historic Barnes Hiscock Mansion in Syracuse. 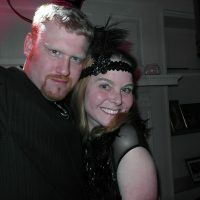 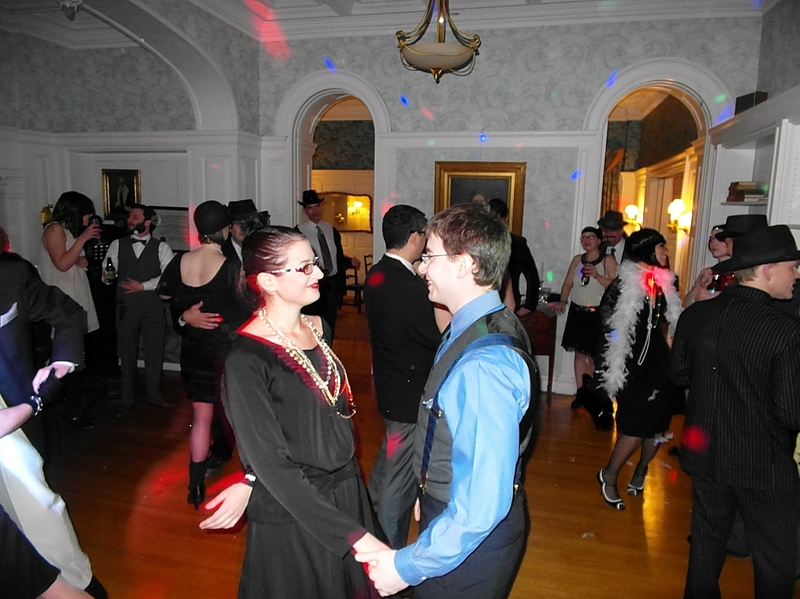 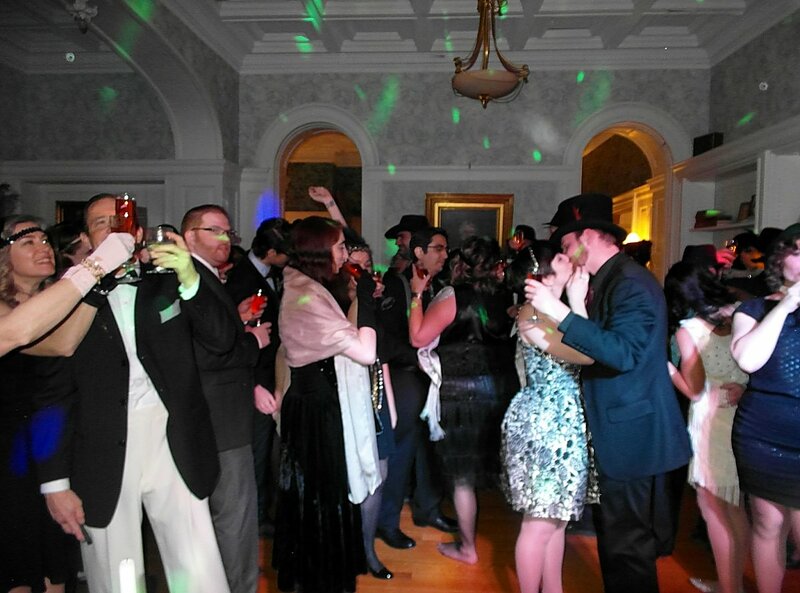 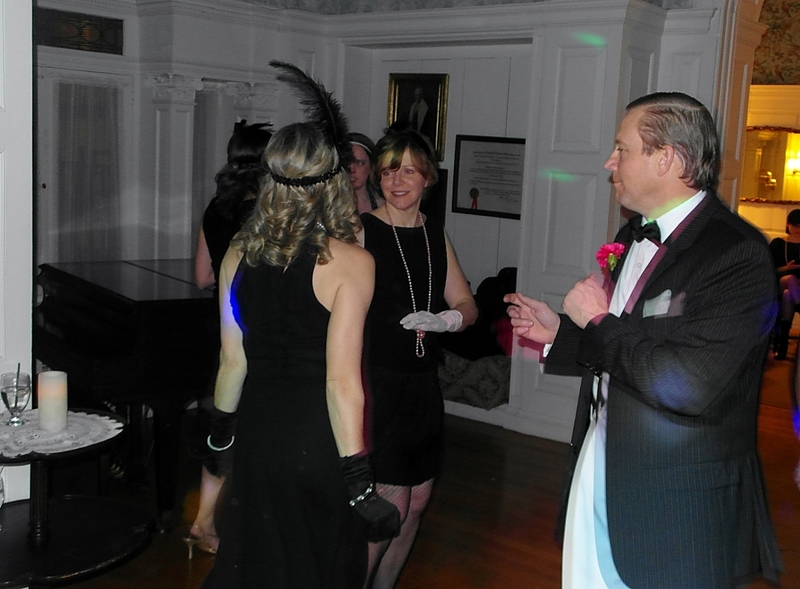 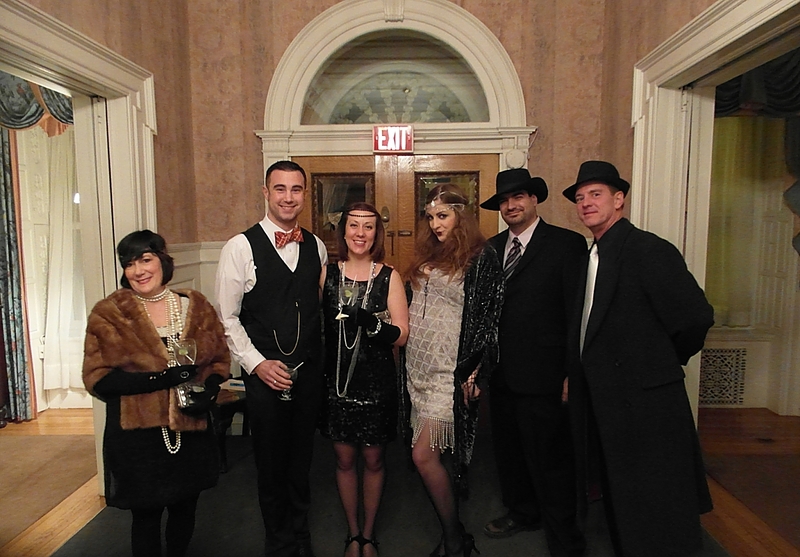 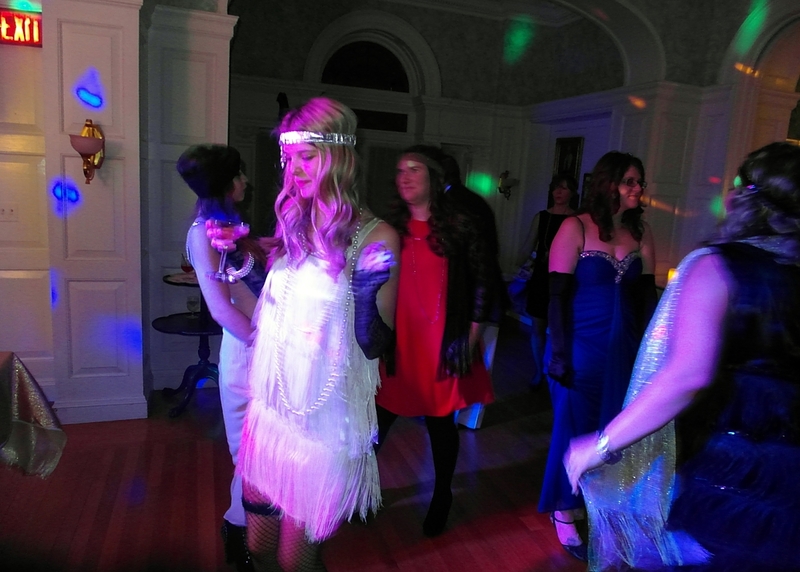 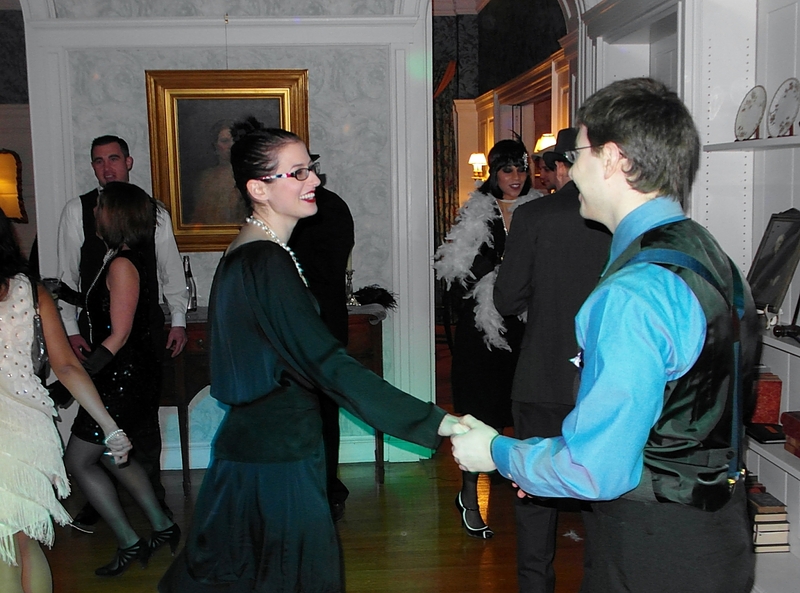 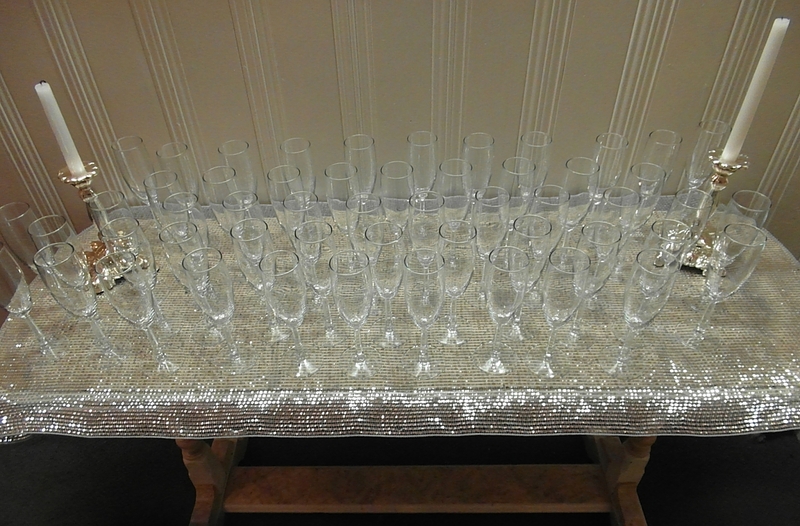 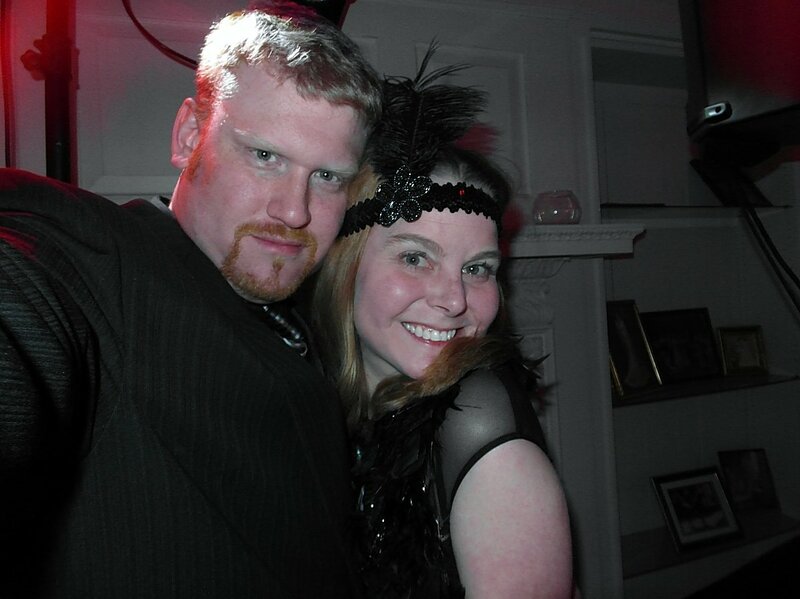 Kristin had an idea for a New Years Eve party… a throwback, 1920’s Roaring Twenties Bash to bring in the New Year. 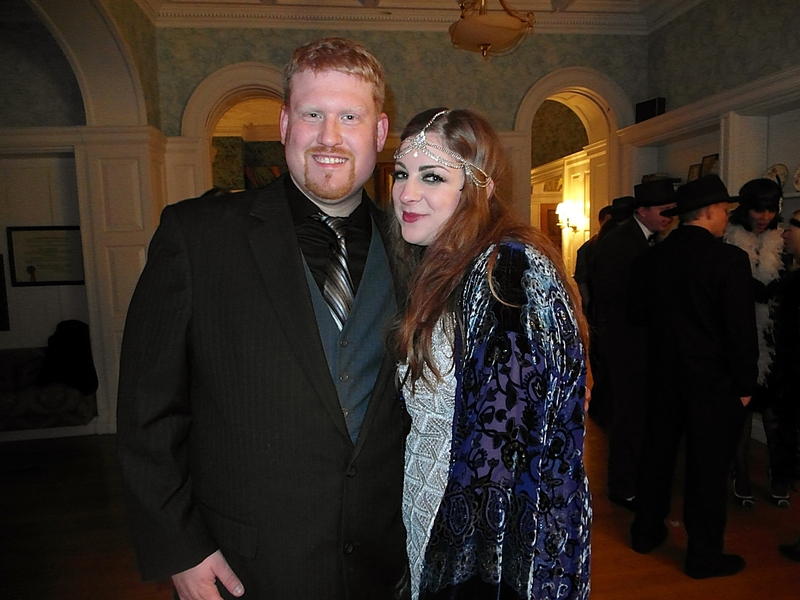 And she wanted me to be her Jay Gatsby. 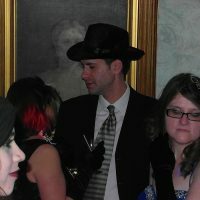 Again, who would say no to that? 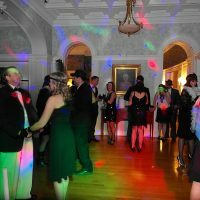 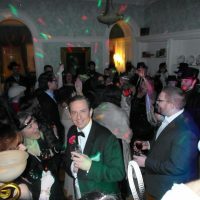 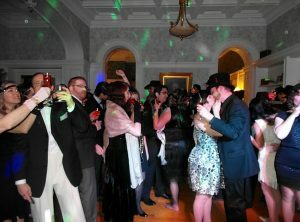 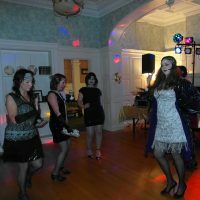 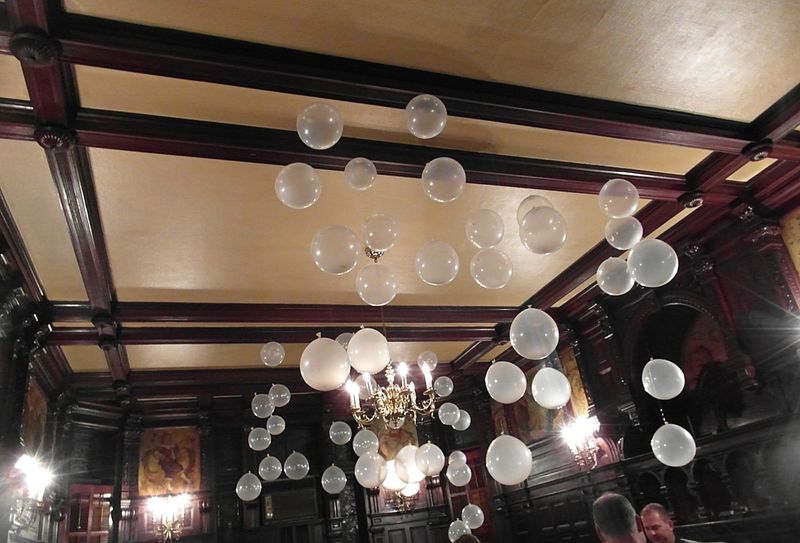 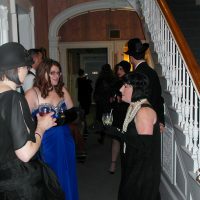 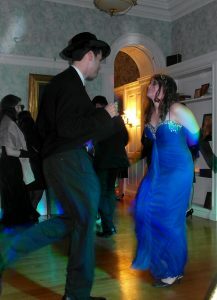 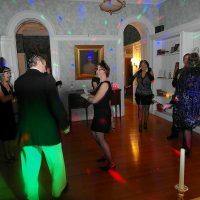 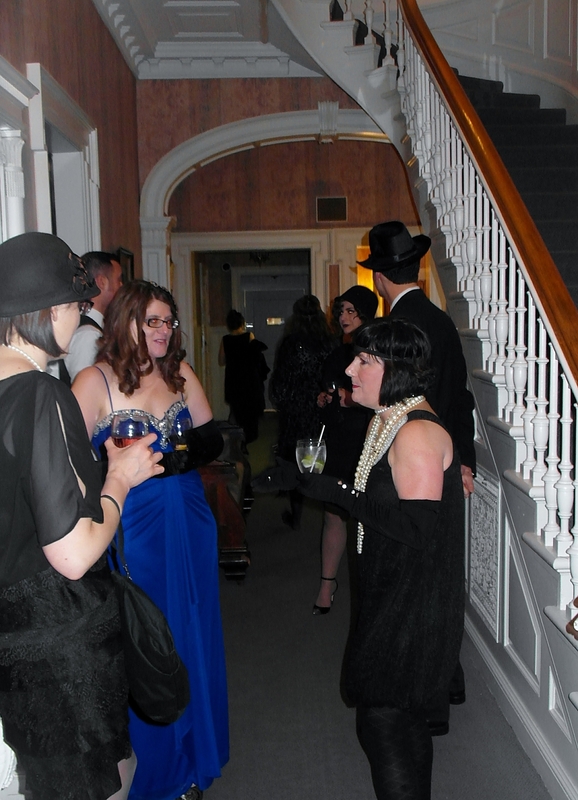 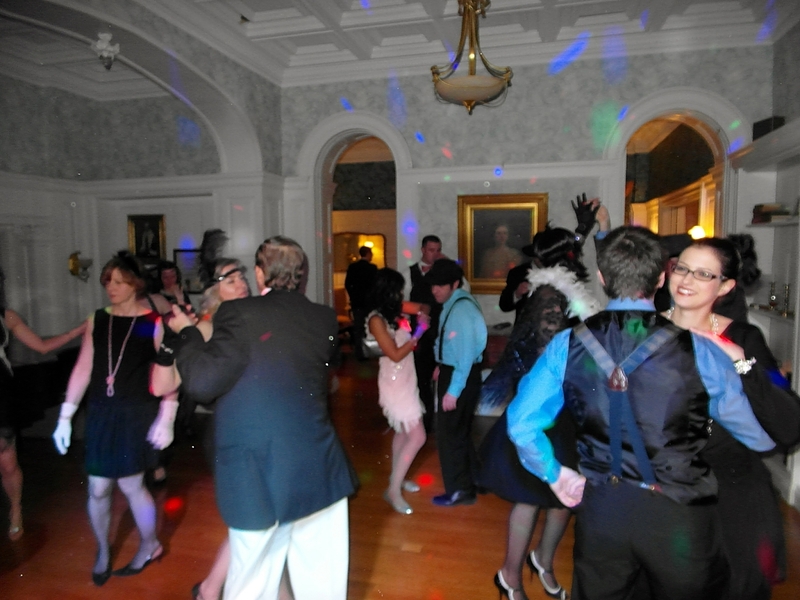 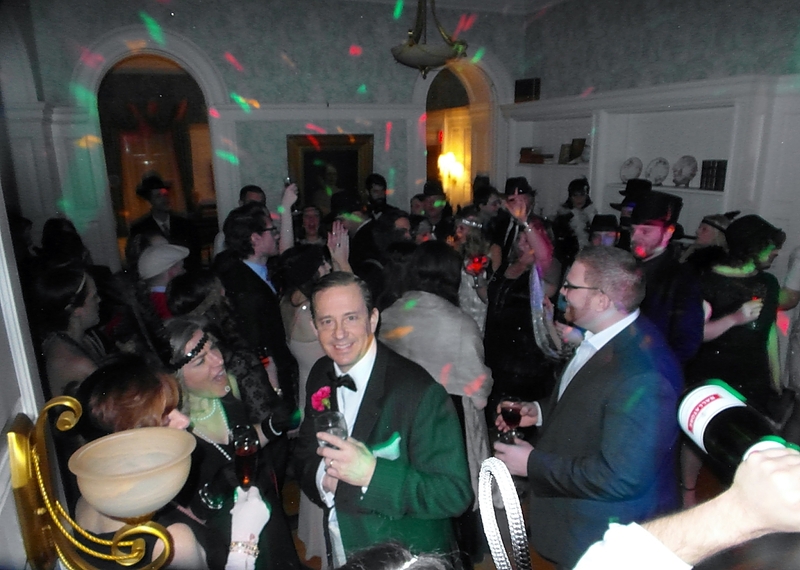 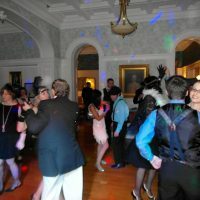 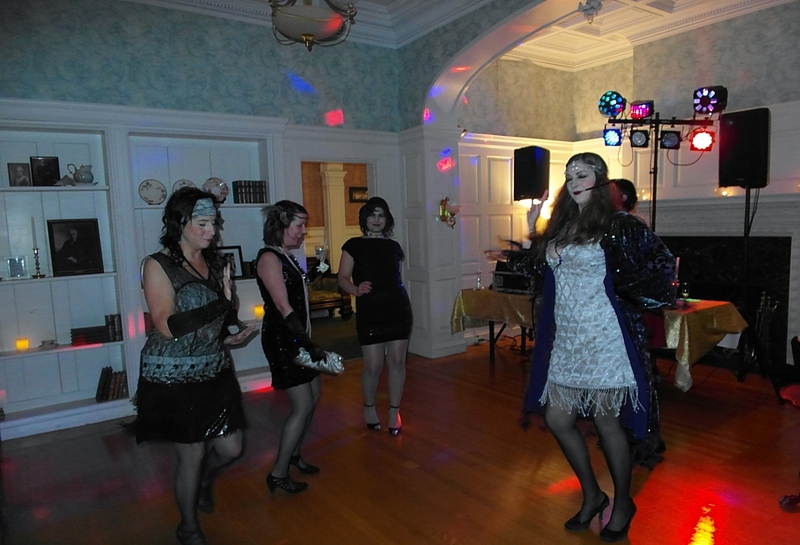 While it was a New Years Eve Party, it also doubled as one of the Mansion’s largest fundraisers of the year. 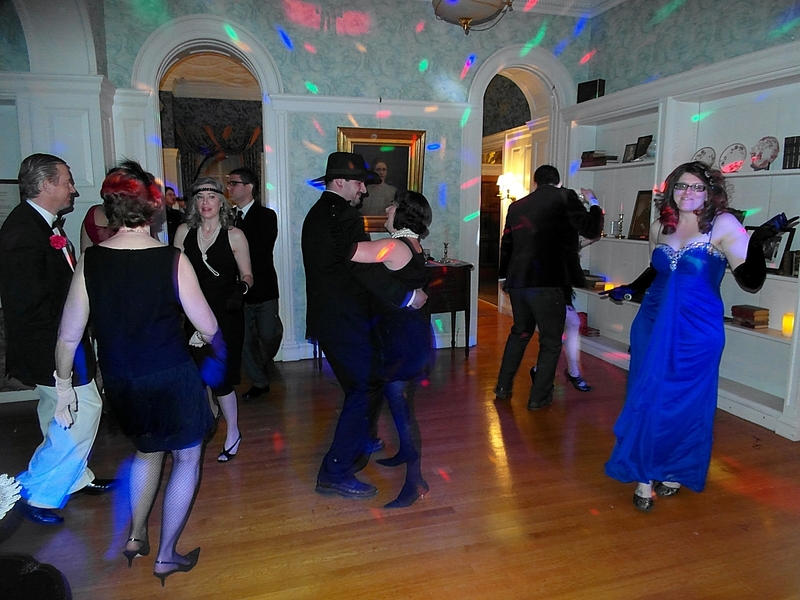 The funds are used to continue to preserve the mansion that was built in the 1800’s and owned by George and Rebecca Barnes, two Syracuse citizens who were abolitionists and staunch supporters of the Underground Railroad. 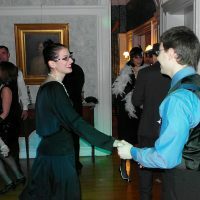 The Barnes family also used their means to raise public funding, support, and awareness to many important causes in the mid to late 1800’s. 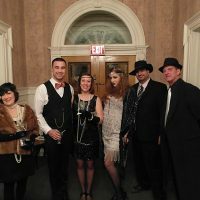 Kristin has excelled in creating fundraising events in order to preserve the mansion, and although she has since moved on to a great position at the local Cystic Fibrosis foundation, she left a great legacy and nurtured a wonderful business relationship with Salt City Sound Machine. 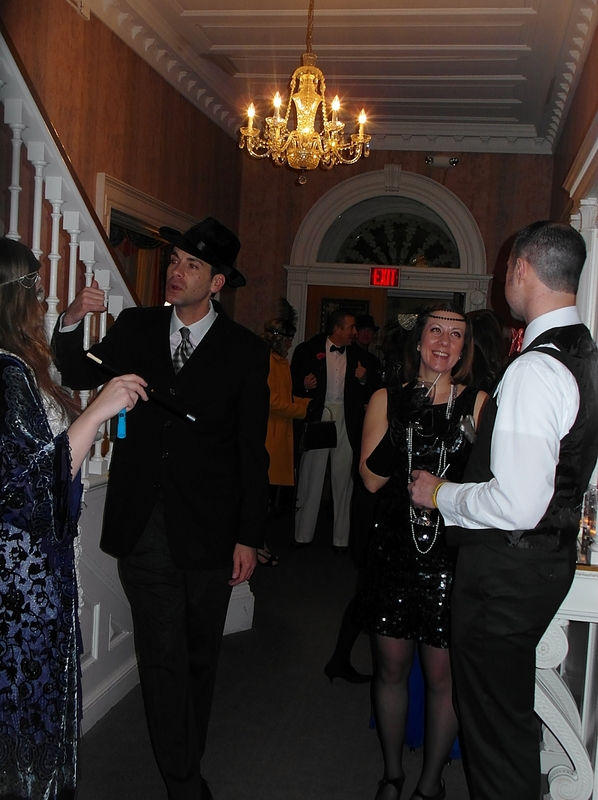 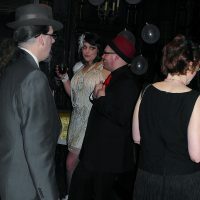 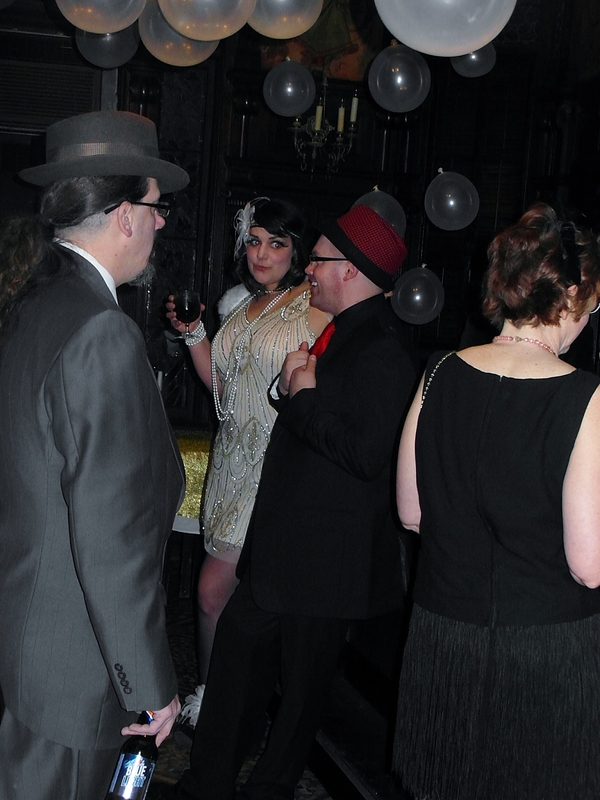 The Gatsby party was a great turnout and everyone was dressed to the nines. 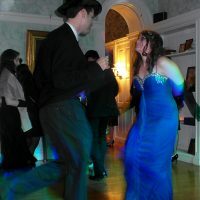 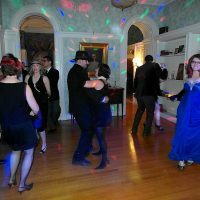 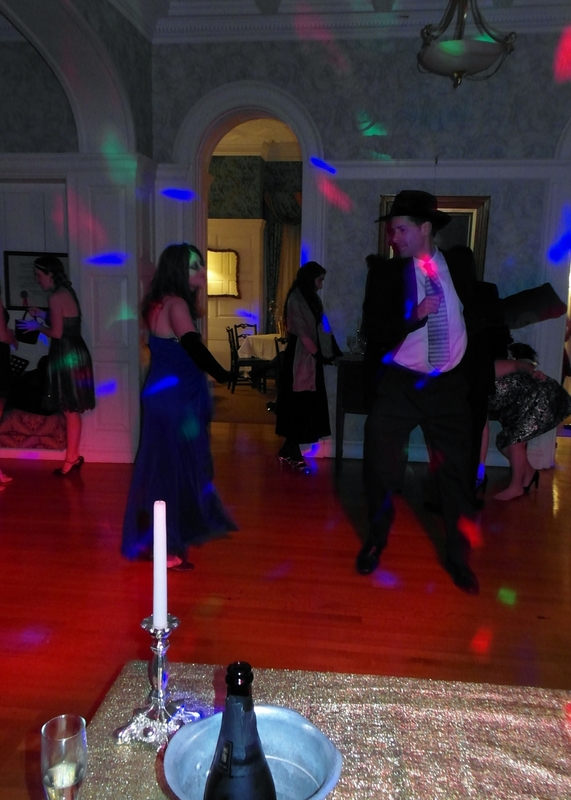 We played modern remixes of 20’s songs all night and added in some more modern swing. 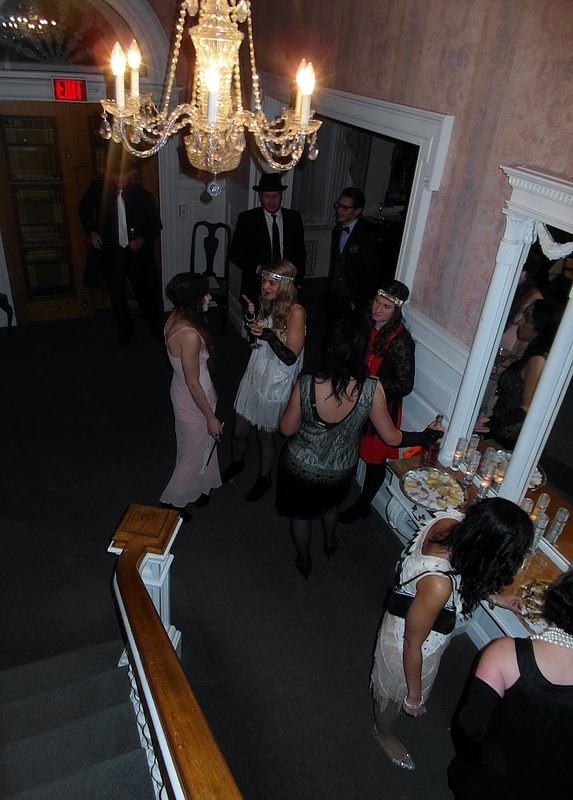 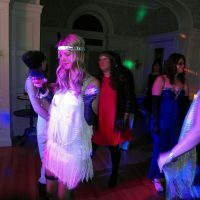 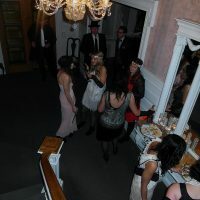 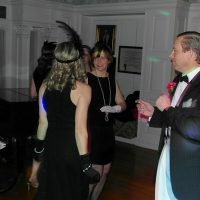 Flapper outfits, feathered headbands, and costume jewelry were the norm for the beautiful ladies of the evening. 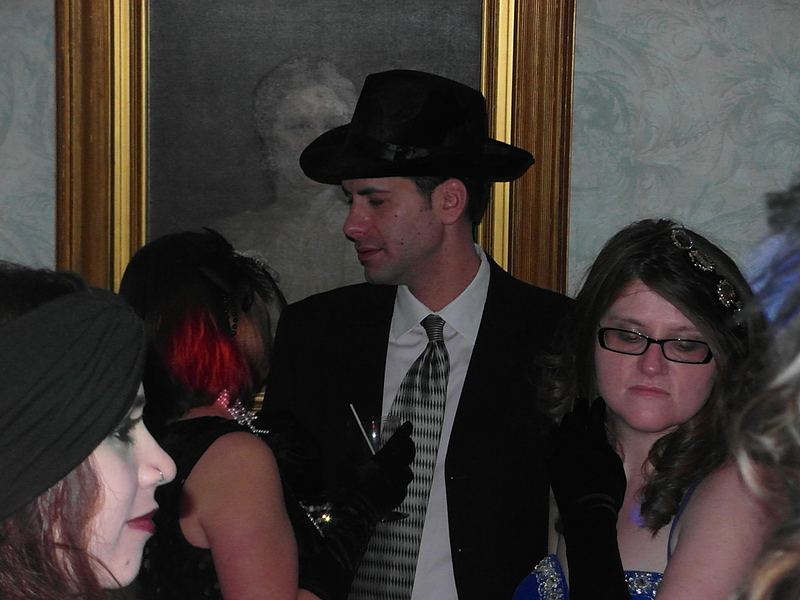 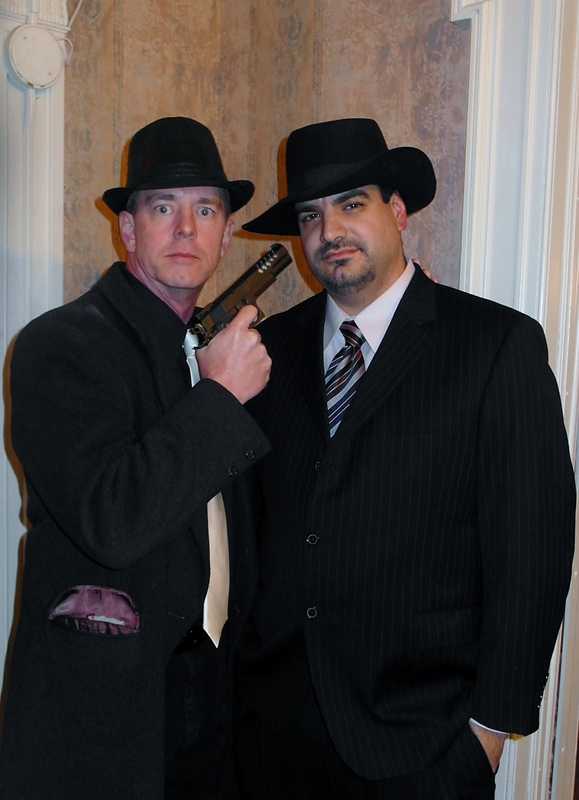 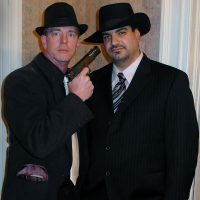 While in the mean time, the guys came decked in their own vested suits and fedoras. 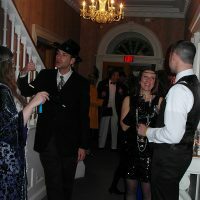 The first floor of the mansion was opened to all complete with food and drinks of the era. 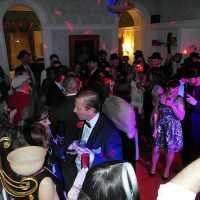 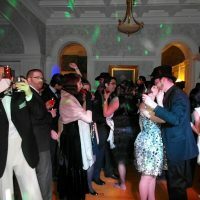 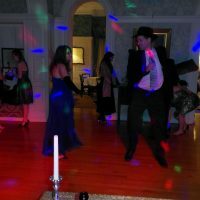 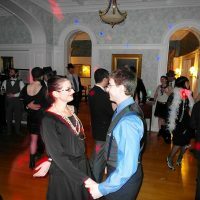 Guests were able to go from room to room, but when they were in the room where we were, they were treated to songs from Postmodern Jukebox, Parev Stelar, and excerpts from the Great Gatsby Soundtrack. 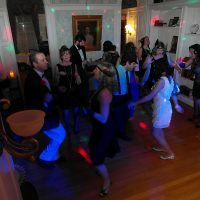 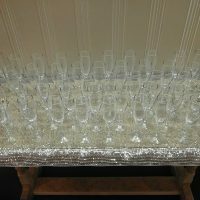 Of course, as the clock rang midnight, everyone gathered in the same room for a New Year Countdown, a champagne celebration, and Auld Lang Syne. 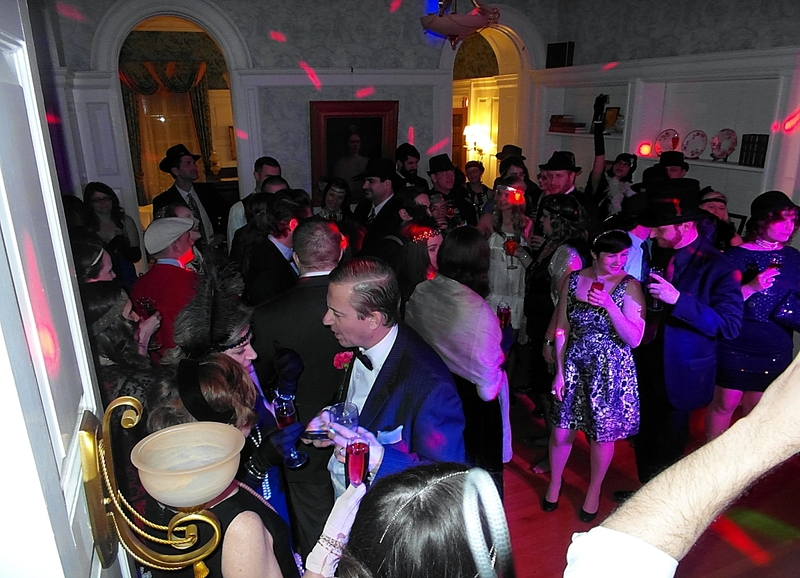 Soon after, the music ended and 2015 began… but at least this was a year that was starting right. 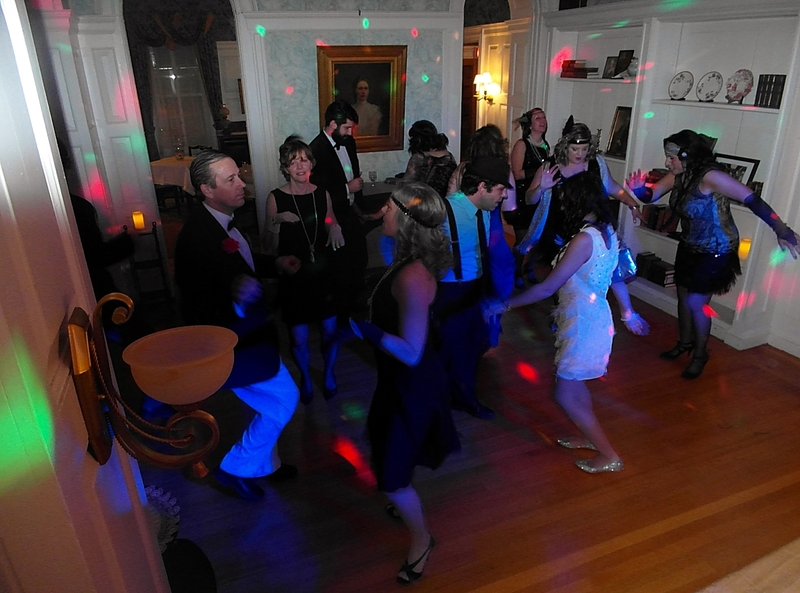 Thanks to the Kristin and the Barnes Hiscock Mansion for having us for your New Years Celebration. 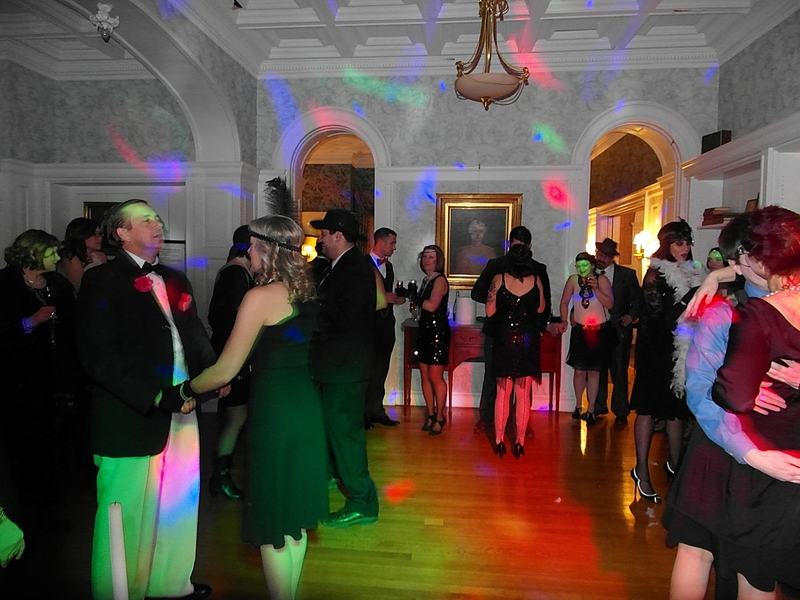 We’ll be doing it again in 2016/2017, bigger and better than ever. 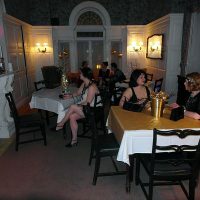 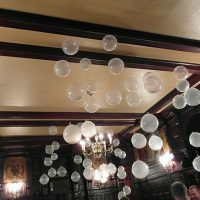 In the mean time, if you’d like to donate to the preservation or general infomation on the Mansion, check them out here.